Welcome to Warwick Boats, the only place where you can ride a dragon to Warwick Castle! We have a fantastic range of boats, including large swan & dragon pedalos, electric motor boats, traditional row boats, canoes and kayaks. 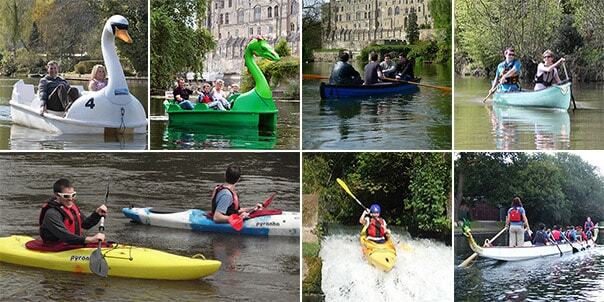 A range of canoe & kayak activity courses for children and adults. Corporate hire for staff activities or team building events. Private evening boat hire parties, ideal for a birthday party or staff get-together. Jaguar Land Rover (JLR) training for Charity Dragon Boating at Warwick Boats. Trained by head coach Koh Tin Sing. Video by Tina Tao Photography. Hi folks just to let you know that we are closed tomorrow due to Leamingtons sprint regatta. Hi Folks.. Boat Hire is closing early today due to rain! We also operate Walker Bay Shop UK, the official UK stockist for Walker Bay boats and equipment.